The convenience of working from home makes everyone crave for a home office. But how convenient is working long hours sitting on your chair? Especially if it isn’t the best chair for correct posture. 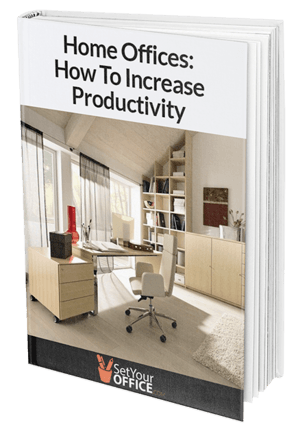 If you work long hours in your home office, long sitting is a frequent occurrence. But many people seem to forget the importance of choosing a chair that’s ergonomic and provides comfort. These two characteristics combined make the best chair for long sitting. Why do you need a chair that provides all those things? Simple! It’s because you don’t want a damaged back. Any perfect chair will have some characteristics. Such as long lasting ability and adjustability. With the latter, you can use an adjustable chair in any situation while the former will give you your money’s worth. Your investment is for long-term so don’t forget to check for an equally long-term guarantee. Here in this guide, I’ve listed 17 of the best ergonomic office chairs for your home office. Although it’d be nice to check every chair in the market, it’s not practical. So we chose chairs based on their manufacturer’s reputation for testing. Everyone’s taste is different. So being practical, we left the deciding part up to you. We have listed the best chairs at different price points down below. So read on! Herman Miller’s Embody chair with fully adj arms is the first chair in our list. This chair deserves to be in the first spot. Credit goes to its designer, Bill Stumph, who made this chair favorite among the customers. If you observe the structure of the chair, you’ll see a resemblance with the spine of the human body. This design is to keep the spine in its natural shape when you are spending hours on it. The structure of the chair stimulates blood and oxygen flow. It relaxes your body and mind helping you to become more focused on your work. Ergonomic functions of this chair give you the perfect posture. Its active reclining system gives reduced spine compression and prevents fluid loss from spine discs preventing back-pain. Stimulates blood and oxygen flow. Relaxes your muscles to focus more on work. Enables perfect posture. active reclining system. Skin like covering allows extra air circulation, keeping you cool. 12 year Herman Miller warranty. Steelcase’s Gesture chair has got much-deserved attention from many medical organizations. The reason is its specialty regarding how it compliments your body movements, and this is how it gained a top position in the list. You can guess from its name about how it works. It works with your body gestures. The LiveBack technology allows it to adapt to the movements of your spine, neck and move with them to support your every movement. This unique specialty makes this chair appropriate for ages and sizes. The armrest can swivel up to 360 degrees, allowing you to keep your arms as you like. Its height is adjustable, so it doesn’t matter how high or low your table is. The LiveBack technology adapts to every movement. Adaptation allows people of all ages and sizes to use it. Armrest ability to go 360 degrees. It comes with full Steelcase warranty. Bill Stumph’s another beautiful creation is the Aeron from Harman Miller. This chair boasts Herman Miller’s patented Kinemat mechanism. The back part is different from its counterparts making it one of the first of its kind. The porous design in place of foams allows passing of air through the back. As a result, you won’t feel hot, sweaty and discomfort either. The biomorphic design can cure your back-pain to an extent as its brother, the Embody chair. It includes a head cushion and a high back for you to keep your head and body in good posture. A head cushion and a high back keeps your head and body in good posture. 12 year Herman Miller warranty with the Born-on-Date sticker. The Hayworth Zody Chair made its name by emphasizing functions instead of forms. A single look at the chair can tell you that the adjustability on this thing is quite high. This chair is a mix of science-based adjustability to gain comfort and to give it a fresh look. As an example, the asymmetrical lumber adjustments give your lower back extra support. The design is fit for any place. Your home office to your corporate office. And the chair fits 95% of the users. Physiotherapy centers often recommend this to their patients such as the American Physiotherapy center. Built to accommodate any and every user. Optimum adjustability, asymmetrical lumber adjustment. Gives extra support to lower back. American Physiotherapy centre recommends it. A high price to performance ratio puts this chair in the 5th position of our list. As we talked about LiveBack technology with the Embody chair, this Leap Fabric chair also includes in it. The technology ensures that the chair adapts to you to support your movements more. By doing this, it reduces the chance of putting excessive pressure on your joints. Everything is adjustable of this chair. Back, sit, armrest, head cushion, anything you name! The seat shape is such that it holds up your thighs nicely giving it more support from the sides. Lifetime warranty from Steelcase talks and customer reviews walks the talk. The Sayl from Herman Miller is the company’s first try on the ergonomic form. Although this chair is one of the lowest priced chairs in the company, we consider this as the best chair under $500. On Amazon, it goes for $495. Admittedly, the Y skeleton of this chair is one of its well-known features. Along with the ArcSpan keeping your body in good form, the frame stretches the back fabric and provides support continuously. This chair is also called the Life Unframed chair. The name came from the freedom the structure gives to you. The design of this chair is such that it can accommodate all body sizes and types while not discounting any freedom and comfort. Accommodates all types of size and weight. When you hear the name Serta, you think about mattresses. So why are we mentioning it here? Well, when Serta thinks about comfort, it thinks about every position. So they brought out this Health and Wellness chair for office persons. This chair uses the Air Kinetic lumber technique to mimic the LiveBack adaptation of movements. The result is the same; it gives more support to the actions of your neck, spine and pressure joints. One thing of this chair that stands out is the waterfall seat edge design. It lets you move your legs more freely. If you’re an Eco-freak, in a right way, you’re going to want this one. The leather is environment-friendly. Along with that, the chair has active lumbar support to cradle you up from the sides. Air Kinetic lumber technique, active lumber support. And yes the price, it’s very affordable. Alera Elusion is a customer favorite, and that played a part in getting it a place in this list. Coupled with some attractive features with customer satisfaction, it makes this chair one of the contenders for the best chair under $200. Breathable mesh design at the back will make your experience with it cooler, less sweaty, and more comforting. The best feature that the customers felt and we agree with it too is its contoured seat cushion with waterfall edge design. An added part with that reduces the pressure on your legs. Like all good chairs, this one also has excellent support for back and spine, helping to prevent back pain from happening. Mesh design for easy air passing. Contoured seat cushion, waterfall edge design. Strong support for your back and spine. Adjustability and tilt technology and low price make it such a steal. Hold on! Ergonomic and Leather in one sentence! What in the world is that? That is the White Ergonomic Leather. Looks premium and feels premium, this is a chair that fits into all situations. Being priced at $99.99, it is maybe the best chair under $100. With enough padding at the back, head cushion and in the armrest, you can finally relax in a leather chair. The fixed and contoured armrests are there to give you continuous comfort. Easy assembly is one of its mentionable perks. Strong lumbar support with full swivel capability of the back gives you mobility and comfort. You can guess from the padding in the cushion that it works wonders for people with neck pain. Optimal amount of padding and contoured armrests. Amazonbasics’ Mid-Back Mash chair is a well-received product among the customers. It made its way into this list because of this reputation. The contoured mesh back does what it does best. It gives the chair a breathable back for a less sweaty, more comforting and cooler experience for you. Padded seat of this chair will work wonders for your hip and hip joint. It gives a soft support to make your hip relaxed and ease your pain from sitting for a long time. Its contoured back and the padded seat makes for a sound structure that keeps your body in a natural posture. Build quality is excellent as it can take weight up to 225lbs, such as a six feet person. Keeps your body in a natural posture. The Ergohuman ergonomic chair by Eurotech is known for its ergonomic adjustments in its structure. These adjustments work very well to keep your neck and spine in their natural alignment. Ergonomic adjustments of the chair give you the ability to adjust the chair according to your desire and comfort. Back angle adjustability, tilt-lock technology, and tilt tension are the important ones. Contoured back and the headrest together makes for a good posture for your body keeping you safe from every kind of pain there is. This chair is a contender for the best chair with headrest category. Height adjustable armrests, pneumatic controlled seat gives the choice of using this chair to everyone of all sizes and shapes. Hence, you don’t have to worry about fitting your parents, your spouse in this chair. Back angle adjustability, tilt-lock technology, and tilt tension. Comes with a contoured back. Height adjustable armrests, pneumatic controlled seat. Made for all ages and sizes. You may like the unique features that the Balt Butterfly provides. It ranks 12th in our top 17 ergonomic chair list. With a mesh back, like other chairs, the Balt gives you the experience of a cooler and more comforting feel during you finish the massive workload on your desk. Perfectly contoured back and strong lumbar support create a nice alignment of your neck, spine and hip joints giving them their natural shape. People may not give much attention, but this contoured system works wonders for people with back and neck pain. You can adjust the armrest height and the angle by moving the pivot. This chair contests with the Ergohuman for the best chair with headrest award. A mesh back for air passing. Adjustable armrest height and angle. Duorest, the manufacturer of this Leaders Executive office chair deserves praise for the most interesting design among the 17 chairs in this list. You can see that this design is solely to protect the neck and spine from damage. The unique and ingenious liver-shaped design at the back gives it the award for the best chair under $300. It won’t break your back but will provide you with comfort. The dual backrests are fully adjustable so that anyone can use the chair to their desire. It can take any shape or size when combined with its adjustable armrest and height adjustable seat. You can adjust the tilt angle, tilt tension just as you can adjust seat height. For more stability during reclining, they equipped the chair with six legs. Three pairs of legs connected by a Y design. Adjustable tilt angle, tilt tension. Six legs for more reclinability. Y design connects the legs. Another contender for the best chair under $100 is this Viva High Back Mesh Chair. This chair is a beautiful combination of price, design, and performance. The mesh back, like other chairs, gives you the experience of a cooler and more refreshing feel while you finish the massive workload on your desk. This mesh in the back, stops the moisture & heat build up. Comfort will be your regular partner as the pneumatic adjustment for height. The headrest is also adjustable so that you can relax and put your head in the middle of a work session to again get back to work with a rejuvenated mind. This Viva office chair, in its price range, has maybe the highest value to performance ratio. The Walker adjustable chair, is a contender for the best small office chair, due to its 360-degree swivel motion and size. Its 360-degree swivel motion allows you to achieve, at whatever angle you wish to move. When this motion, coupled with the adjustable five wheelbases comes into play, freedom of movement and comfort reaches sky high. If you observe the armrest, you’ll find it curved at the middle to make it more comfortable for your hand, the design is like a baby cradle, cradling your hands. The chair justifies the name, by having an adjustable headrest and lumbar support. All these make way for an enjoyable experience at your home office. Adaptable headrest and lumbar support. When you start searching for your office chair on a budget, sacrificing comfort is a bad idea. Nowadays, more and more chairs are becoming available in the lower price range for people to consider. Such a chair is the AmazonBasics mid-back chair. This mid-back chair has padding all over it. The back and the seat, both of them have enough padding for comfortable work experience. A black bonded leather covers the whole chair giving you a more peaceful sitting experience. The dual-wheel are for smooth movement. Its pneumatic seat-height adjustment is quick enough to save you a lot of time. This mid-back office chair is one of the few under $100 mark that gives enough support for a person of just 6 feet. It has support for a user of 6 feet. The AmazonBasics High-Back chair is just the bigger version of the AmazonBasics mid-back chair. Leather covering makes the chair more comfortable when sitting. We found the padded seat and back of the chair as its strong point. These padded seats and back of the chair relax your body. This relaxation can cause decompression of the spine. 360-degree swivel, smooth casters, etc., add to the charisma of this AmazonBasics chair. The smooth wheel casters, make way for smooth movement. The padded back and seat will make your life easy and full of comfort. An added extra with this chair compared to the mid-back one is that it can support more weight. It means it’s structurally stronger. Padded seat and back is the strong point. All in all, the chairs that I mentioned in this list passes all the comfort and durability test in their price range. It's not possible to go wrong with any of them, but the price to performance ratio to the high value due to premium quality plays their part significantly. We’ve given our verdict based on the price range and TPR. But at the end, it all comes down to personal taste and affordability. Our suggestion would be that don’t skimp over quality, spend a little extra for longevity, plus extra care and comfort for your body. So see what fits the bill without breaking your bank.